As you all know i am a die heart Korean skin care fan. And Innisfree is one of my fav brands. October is a celebratory month for Innisfree for more than one reasons. Innisfree is completing their 1st Anniversary in India on 11th October and Diwali happens to be on 23rd October. Therefore Innisfree chooses to double the joy by celebrating both the occasions. 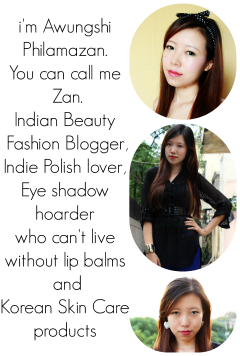 I will be running a contest on my blog starting today till 17th Oct 2014. · The Winner will be decided by me. Below are some of my favourite products from Innisfree. The WINNER of the giveaway is SHAINGAM. Hope you enjoy the products. Please email me with your shipping details. 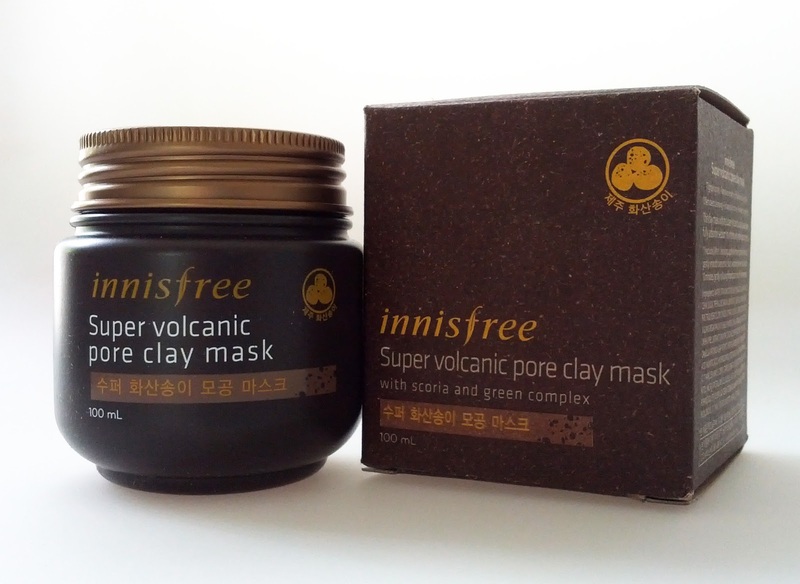 (The products will be dispatched from Innisfree HO in New Delhi. I remember getting invited for the launch and Its already been an year!! Cheers to #Innisfreeturns1 for completing an incredible year and happy customers!! For me..I am already a fan of Innisfree products be it the skincare range or their cosmetics...Since I have already used Innisfree’s Green tea seed serum and absolutely love it…the face mask sheets work great too…But I am yet to try out the much talked about Super Volcanic Pore Clay Mask…So,I am definitely most excited about it!! Hey, Innisfree’s green tea seed serum definitely excites me the most. 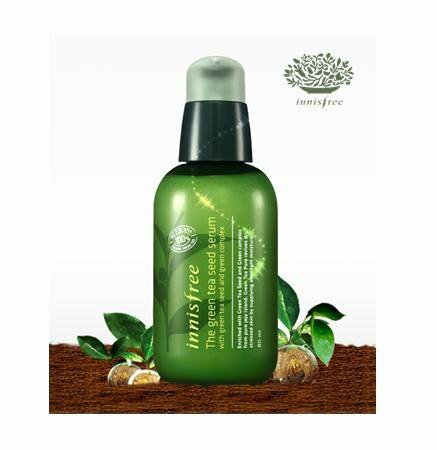 Most important reason being, i have read alot about this product that it is absolutely non sticky and i suppose the oil tanks running on my face can definitely be cured with this magical product by innisfree. Heartiest congratulations to innisfree as #innisfreeturns1 ! I have always wanted to try innisfree products, but as these are not available in my city i never got a chance.I do like to have a personal consultation before buying stuff that's why I have stayed away from ordering online yet. 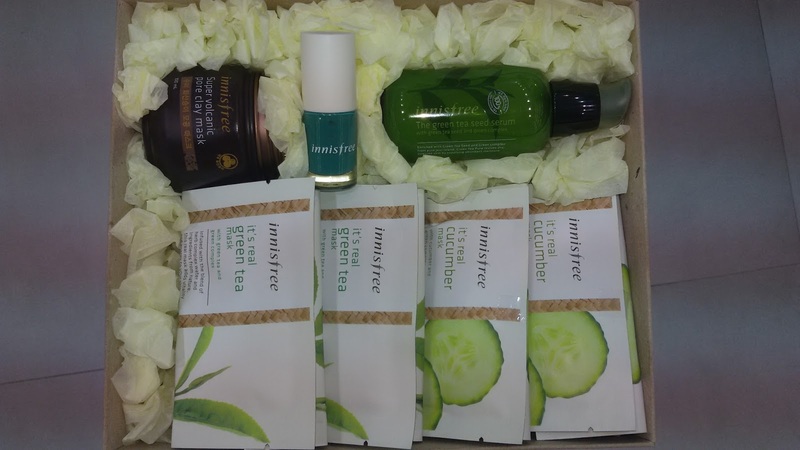 But this is really exciting to win these goodies as #Innisfreeturns1!! Desperately waiting for them to open their outlets in other cities too !! I have already tried few of Innisfree products - Eco Nail Color, Tea Tree Seed Serum and Volcanic Clay mask! Have been in love with the Tea Tree Seed Serum - improved my skin texture, keeps face hydrated and moistened and my combination to dry skin feels quite supple. Am very exicted to try out the green tea seeed serum, have used the trial pack and just a pea size amount was enough to bring an instant glow on my face. it mousturizes the skin and makes it very soft and supple.Also have noticed that my skin becomes more clear and the blemishes reduces. Love all the innisfree products as its all natural and has redefined skin care. I am a huge k-drama fan, so I would love to try out the masks, because I always see the characters putting them on and having conversations with their sisters/besties, when they're in need of a physical and emotional pick-up! I'm also curious about the clay mask - after I moved here for college, my pores have become enlarged and oily. Never tried d korean product ever in my life.so just wanna check out its advantages and limitation.above all since I am a huge fan of korean stars I would like to have d same glowing skin like them. win & try their best sellers! The hamper also contains two of your favourite products! All the more reason to win it! Korean brands are known to be Pro at making Skincare products.No wonder,look at those beauties flaunting flawless skin.So with Innisfree in India,it creates an excitement to try out products which will help me in achieving a beautiful skin that stays young forever. Also I am quite intrigued by their Green Tea Skincare products and can't wait to lay my hands on one. #Innisfreeturns1 I turned 40 this year and need to get serious about skincare. Ohhh. Wow. I am waiting for them to open a store in bombay. Just fabulous. Its one of my fav brands and I usually use its products. Thank u for the share.